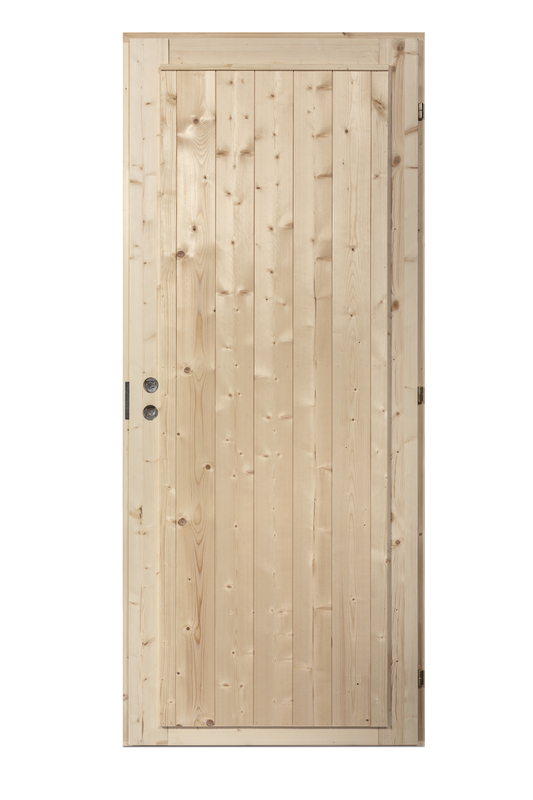 The doors are made from high quality north European spruce and pine. We always use double glass, 12mm thick. Our pannels are 12mm thick and already offer good insulation. In addition, sandwiched between the interior and exterior panels, there is 42mm of compressed mineral wool. All our doors have a draft strip for wind insulation. 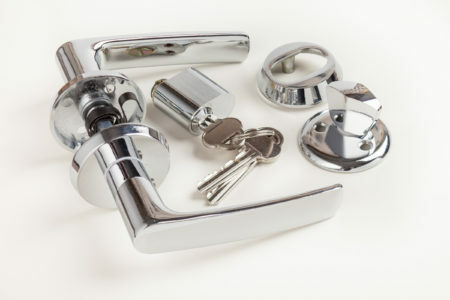 We can make the doors with a variety of locks but mostly use 4190 Abloy analogue lock, always pre-installed. The door frame is made with 44×92 profiles and the stiles and rails are made from 42x115mm profiles, fixed with dowels and environmentally friendly glue. The panels are mostly made with 12×121 STV profiles, fixed with nails. 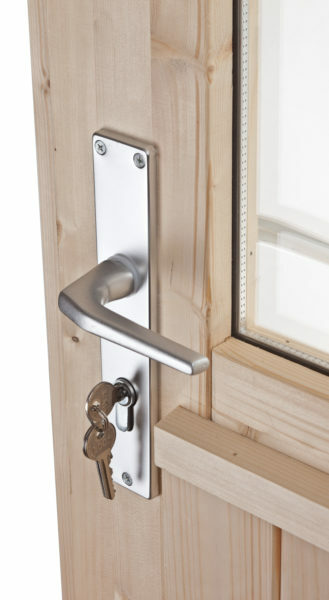 Our wooden doors are made with 3 metal plated and adjustable 16mm ball joints. Our wooden doors are ready to be installed but should be finished with varnish, paint or similar protection against weather and sunlight. It is often advised to install the door on a side of your building, not in direct sunlight. We ensure and assure that we use the highest possible quality of materials and technology to offer you the best value. 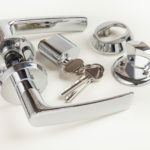 In case of faults in the door, please let us know; we will replace part of, or the whole door and will find suitable mutual solutions to any problems that might occur. 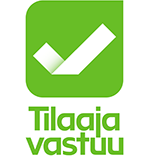 We ensure and assure that in addition to obtaining and maintaining our European legal requirements regarding environment and sustainability we also strive to do more. We support an open chain of custody structure and try to be at the forefront of environmentally friendly and sustainable policies. Feel free to contact us or our distribution partners, ask questions and advise.